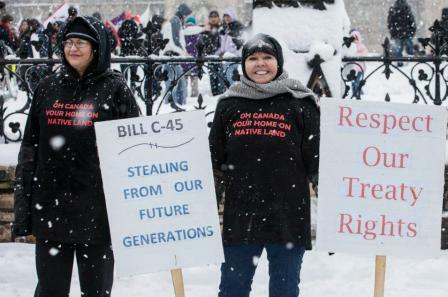 Canada: Why Aren’t Conditions of Life for First Nations a National Emergency? The “at risk” status of First Peoples does not mean they’re at risk of being uncomfortable. It means they could die. It is a way to talk about the failure of the Canadian government’s responsibility for Aboriginal peoples, without imputing intention for the deaths. Americans consider the proving of “intention” necessary for charges of genocide, and the American interpretation of the Convention on Genocide is often adopted by less powerful nations. The devastation of Northern First Nations communities has increased through years of intentional federal neglect by the Harper government. Hoping to reverse this, in March 2016 Canada’s new Trudeau government assured Aboriginal peoples a 8.4 billion dollar slice of the 2016 Budget. The Neskantaga community of about 300 hasn’t had safe drinking water since 1995. The Federal government promised in early December (2015) to fund a new drinking water plant. *5 The Liberals have promised all First Nations safe drinking water, within 5 years. The Grassy Narrows First Nation also suffers from high levels of mercury contamination in the water from pulp mill dumping between 1962 to 1970. The amount is informally referred to as 9000 kilograms. The contamination became buried in sediment and continues to be released, spreading, poisoning water and fish, then people. Japanese experts in mercury poisoning visiting Grassy Narrows in 2014 found compensation levels for neurological poisoning inadequate. Only 27% of those applying to the Mercury Disability Board (started in 1986) receive a pension as compensation averaging $400/month. The Liberal Premier of Ontario won’t have it cleaned up without further study. Common to all these emergencies among First Peoples is that they don’t seem to surprise anyone. Military Field hospitals are not sent in. Airlifts of vitamin rich foods are not dispatched. The resource corporations in the neighbourhood are not identified and made responsible to these bands which remain in such poverty. The government officials responsible for the areas where emergencies occur are not identified. The unacceptable is accepted as if it were normal. Is the State criminal when it intentionally leaves a community without drinking water? Psychological patterns of hopelessness, recognizable in military psywar tactics, have the violent effect of youth acculturation to drugs. Aboriginal “management” programs which don’t address housing and cultural needs on Aboriginal terms mold entire communities to despair. Are Indigenous employment programs directly related to improving the survival of the Indigenous community, the band, the Tribe? Employment with corporate resource strippers which are not adequately paying the community, equates with working for the enemy. European colonialism treats Indigenous communities as those of a conquered people. While the Indigenous approach to the environment allows humanity to continue, European capitalism doesn’t. Just who has won the hearts and minds of North American people is an unsettled question. As an exception to the colonialist’s override of Indigenous culture, Canada’s Winnipeg Arts Gallery has collected Inuit art for over 60 years and has just received a shipment of 50 creates (6000 pieces) on five year loan from the Government of Nunavut, to augment the gallery’s 14000 artifacts of Inuit culture. *15 Yet this tribute to an early First Peoples’ culture is embittered by facts of contemporary life. In northern communities’ lack of adequate dietary needs, lack of nourishment and lack of clean water enforce what has become a hostile environment. Lack of adequate medical care in areas particularly in need of medical care increases the suffering and death rate. For example, nurses available to remote and isolated northern communities are by unconfirmed estimate, 88 in Ontario, 8 in Quebec. Most publicly available Health Canada reports are out of date. Despite all the niceties which insist on how legal resource-stripping operations are, in areas of crushing poverty where people have historical claims to the lands, the resources are being stolen. The government and corporations would not agree, and to imply any intention of destroying a people is unfriendly. There are many government workers who devote their lives to making this better. Yet there is a national emergency occurring, without adequate attempts to stop it. Blame must be assigned even to the level of those funding means of survival, and charges laid against Federal or Provincial government management responsible for a band’s state of emergency. In each area where a band risks disappearance due to a history of environmental mismanagement, pollutants, the effects of resource extraction, lack of medical services, lack of food, lack of clean water, lack of adequate dietary information, lack of police protection from the drug market, those responsible should be charged within the historical context of genocide. For over ten years Night’s Lantern has carried *16 ongoing genocide warnings for Canada’s First Nations and Aboriginal peoples. 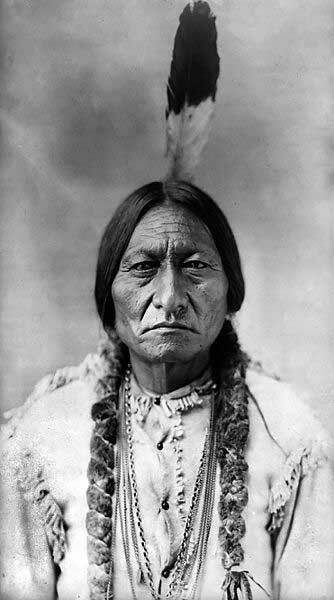 The history of genocide against First Peoples is so deeply established in North America that the outrageous results of injustice have become a norm. Isolated problems are solved when bent to corporate benefit. First Peoples are expected to adapt to a system that historically kills them as part of the colonial metaphor of conquest. After years of the Harper government’s obtuseness to evidence against it of genocide, which could one day be prosecuted at international law, the more aware Liberal government of Justin Trudeau provides a substantial coherent rescue attempt to save First Nations from destruction and Canada from its failure of responsibility. It won’t be enough. Its dream isn’t large enough. The worry is this is simply an instance of bad cop good cop. All of Canada’s poor are finding even less to eat with the rising price of foods. 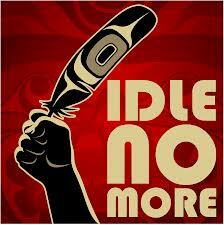 I believe that the Government of Canada really wants to stop a destruction of Indigenous peoples. The desire for change so evident in the Royal Commission on Aboriginal Peoples (RCAP) of 1996 was held back by corporate interests and the Conservative Party. The Trudeau government has promised to honour each of the Royal Commission’s 94 calls to action. *19 Justice for Aboriginal people isn’t a political issue. The issue was and remains whether the people have human rights. Portions of Settler groups are being destroyed economically as well, and with the same pragmatism, pushed out of survival by prices of food and lodging and social patterns requiring an expensive conformity. The fate of First Peoples foreshadows the fate of Canada’s poor who will grow in number as wealth separates from commonality. In Canada, peoples’ fates are interwoven and tied to each other. 3. “Tories’ ‘tough-on-crime’ approach has broken Canada’s justice system, say experts,” Ally Foster, March 10, 2016, hilltimes.com; “Prison watchdog says more than a quarter of federal inmates are aboriginal people,” Jan. 14, 2016, CBC News. 4. 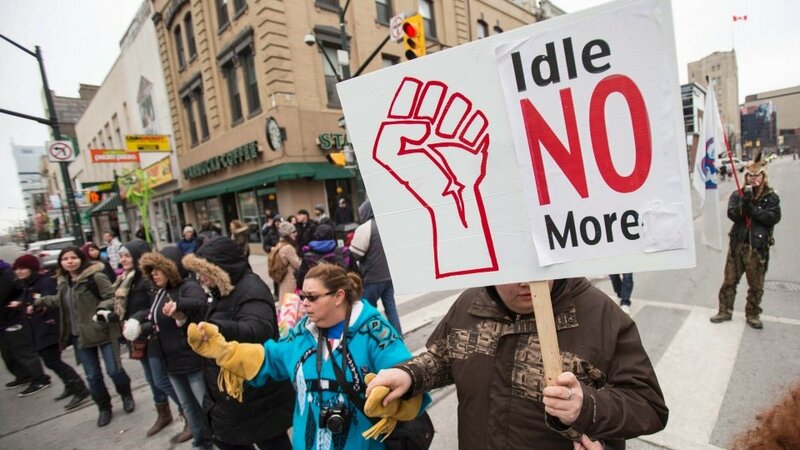 “Canada violates human rights, northern Ontario First Nations tell UN,” Feb. 22, 2016, CBC News. 5. “Liberals to fund water plant for Neskantaga First Nation in 2016,” Jody Porter, Dec. 29, 2015, CBC News. 6.”Mercury levels still rising near Grassy Narrows First Nation, report says,” Jody Porter, June 15, 2015, CBC News; “Japanese mercury experts push Canada to help Grassy Narrows,” Jody Porter, Sept. 2, 2014, CBC News; “Ontario gives green light to clear cutting at Grassy Narrows,” Jody Porter, Dec. 30, 2014, CBC News; “Mercury contamination at Grassy Narrows First Nation will get worse with logging, deputy chief says,” Judy Porter, June 17, 2015, CBC News. 7. “Reserve loses lifeline, declares emergency,” Chinta Puxley / The Canadian Press, April 30, 2015, Victoria News. 8. “We are in a state of shock:’ First Nations declare health emergency,” Colin Perkel / The Canadian Press, Feb. 24, 2016, Victoria News. 9. “Pimicikamak declares state of emergency to deal with suicide crisis,” Jillian Taylor, March 9, 2016, CBC News; “Cry for help after four teens take their own lives on Manitoba First Nation,” Karen Pauls, March 4, 2016, CBC News. 10. “High death rate has three Saskatchewan reserves declaring health crisis,” Canadian Press, March 15, 2016, Victoria News. 12. “Exclusive: Missing Women in Canada – The Cause,” Kevin Annett, https://www.youtube.com/watch?v=uDeCYFJ1KJk&feature=youtu.be. 13. “On missing Aboriginal women,” J.B.Gerald, Aug. 27, 2013, nightslantern.ca. 14. “Breaking down the biggest items — and biggest omissions — from the 2016 budget,” the Canadian Press/Postmedia News, March 22, 2016, National Post. 15. “World’s-biggest Inuit art collection at WAG just got a whole lot bigger,” Braeden Jones, March 3, 2016, Toronto Metro. 17. “First Nations education funds quietly ‘removed’ by the previous government, Liberals say,” Susana Mas, March 11, 2016, CBC News; First Nations students get 30 per cent less funding than other children, economist says, Judy Porter, March 14, 2016, CBC News. 18. “Breaking down the biggest items — and biggest omissions — from the 2016 budget,” the Canadian Press / Postmedia News, March 22, 2016, National Post. 19. “20 years since Royal Commission on Aboriginal Peoples, still waiting for change,” Martha Troian, March 3, 2016, CBC News.